I’m a big believer in incorporating positive self-talk into my life by saying positive affirmations, and I encourage others to do the same. Recently someone pointed out to me how simplistic this strategy was. After all, why did I think that thinking happy thoughts would make life better. In short, positive affirmations were a waste of time and didn’t improve anything. I beg to differ. How would we possibly know if positive thinking really worked – we do it so seldom. 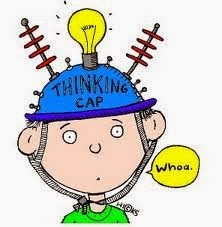 Statistics indicate that people have roughly 10,000 thoughts every day. The kicker is that 80% of them are negative. That means that for every “I’m a good person and in control of my own life” thought that runs through your brain, there are 4 “I’m not good enough and I never do anything right” thoughts to counteract it. For every pat on the back you indulge in, you kick yourself in the pants 4 times! We readily accept our negative thoughts and shun compliments. When someone says you look nice what is your immediate thought? My guess is that you don’t tell yourself “You know, they’re right. I do look nice today.” You probably think that your hair is a mess, you’re not wearing any makeup, or your clothes make you look fat. When someone tells you that you did a good job how often do you say “You’re right. I did do a good job.” Instead, you probably respond with a litany of all the things you did wrong. Why are we so adamant about holding on to our negative thinking? What purpose does it serve except to keep us down? Yet we embrace our negative thoughts as absolute truths. Which one of us can say with any honesty that thinking about how our life is crap and there’s nothing we can do about it makes us feel better? So why are we so resistant to adding positive affirmations to our self-talk? Maybe it’s too much trouble to learn this new language. We’ve been conditioned all through life to play ourselves down. We don’t ever want to get too full of ourselves. People won’t like us if we think we’re too good. It’s wrong to “toot your own horn” or “pat yourself on the back”. Don’t brag about your achievements. Actually, I think now is the perfect time to re-condition yourself. Start patting yourself on the back, tooting your own horn and bragging about what you do. If you don’t, who will? Today is the day to start turning that “negative-to-positive thought ratio” around. You are a good person. You are worthwhile. You do deserve good things. You are not too ugly, too stupid, too uncoordinated, or too anything else that you might say to yourself. The sooner you start accepting that, the better your life will be. This post first appeared in It's All In Your Head in May, 2013.